In today’s world of internet and digital media, people are craving for new technologies to cater their need for customized digital experience in terms of communication, entertainment, learning and many others. 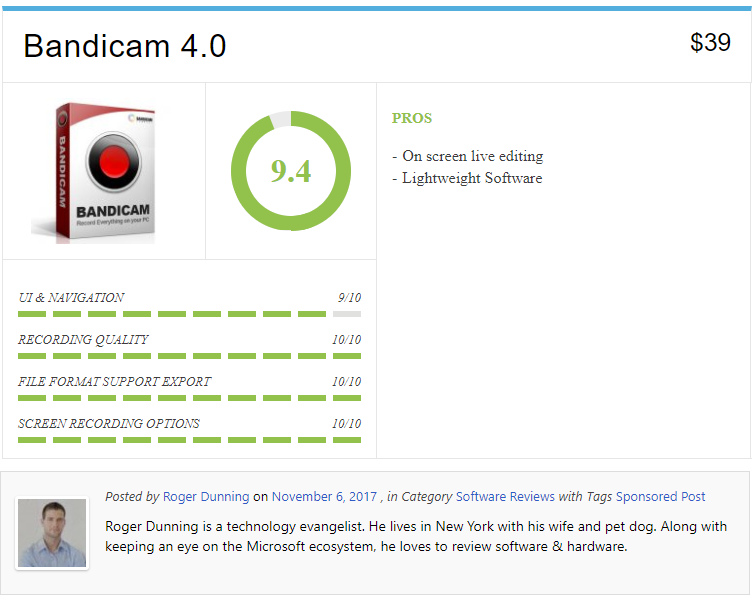 To fulfill the demand of ardent gamers and YouTubers, Bandicam has launched its latest version the Bandicam 4.0.0. This all-in-one screen recording software will help you to run a video recording process backed by high compression ratio without disturbing the video quality which is pretty close to the original work. This software has been designed carefully to deliver performance far better than any other programs offering the similar functions. The all-new Bandicam 4.0.0 is basically a major update that encircles several attractive features and functions like a renewal of the skin design, ensuring enhanced productivity and corresponding with video-creation scenes when you are involved in the process of making videos. Bandicam was first launched back in 2009. Right from its first version, the company has always made dedicated effort to improve the functions and features through in-depth research works in the field. 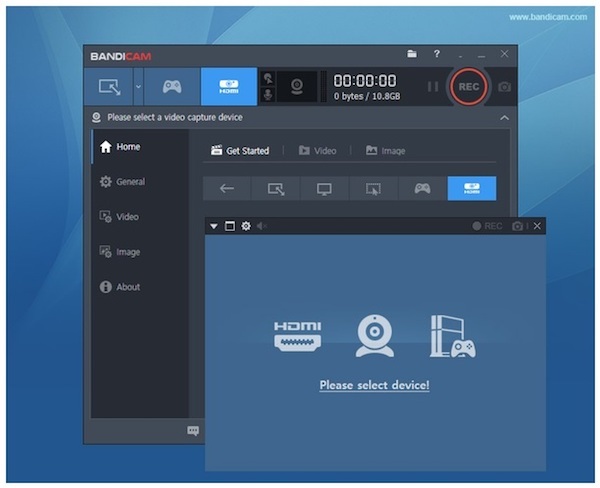 To facilitate user experience, Bandicam has been loaded with several new features like hardware acceleration, webcam overlay recording, mouse-click effects, push to mute/unmute etc. Since its first launch, Bandicam has earned its reputation as the best screen-recording software in the whole world. This software is a hot favorite among the YouTubers, gamers and consumer gamers. With the new version comes a “Get Started” screen that helps new users to select recording modes along with other settings. The Bandicam 4.0.0 is well equipped with some irresistible features and advanced functions. It offers as many as five recording modes and they are like Full Screen, Rectangle, Game, Around Mouse and Device. The ‘Around Mouse’ mode is quite useful as it enables you to capture the area around the mouse cursor. As soon as the recording is initiated, the target area follows the movement of the cursor and records them accordingly. This feature is particularly very useful to make any tutorial videos for online viewers. The Screen Recording mode in the previous version has been rebuilt as Rectangle mode and Full-Screen mode in the latest version. In Bandicam 4.0.0, a user can now choose the full-screen recording with just a click of the mouse. The Bandicam 4.0.0 comes with a mission to make on-screen recording smooth and fluid without hampering original video quality. The new updates paired with the Bandicam 4.0.0 are designed in order to offer a better display and faster accessibility for the devices that you are using for recording. Icons for the microphone, mouse and screen-recording software have now been positioned on top of the main window. This new position of the icons will surely help the users to find and select them quickly and also to keep an easy tab on which device is currently in use. There is another amazing feature loaded in the new Bandicam version and it is the real-time drawing function in Screen Recording mode. This function allows you to skip the process of editing once you complete the recording. Bandicam Company has confirmed that it is very much focused and dedicated in adding new functions to enhance the performance of the software and elevate on-screen recording experience of the users. Zun Kim’s statement to the press inevitably indicates that the company is eager to gather feedback on the Bandicam 4.0.0 version in an attempt to know its pros and cons. We can expect that from the data collected through customers’ reviews, the company will try to amend or improve some features and functions of this on-screen recording software to give user’s experience a whole new definition. So…if you are facing some technical glitch or having any suggestion for improving the software, you are welcome to share them with Bandicam. Who knows…you may see the feature that you wished for in the very next version of Bandicam recording software. The Bandicam 4.0.0 is developed and distributed worldwide by Bandicam Company. 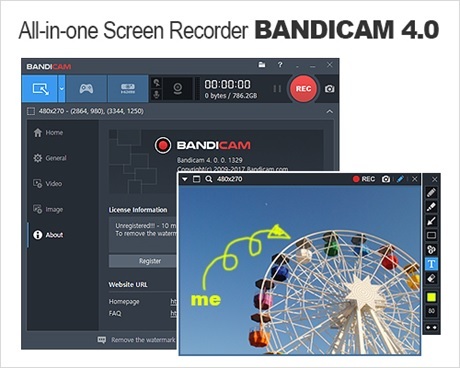 The full version of Bandicam 4.0.0 is now on sale in the official online store of the company. The product comes with a license having validity for a lifetime. 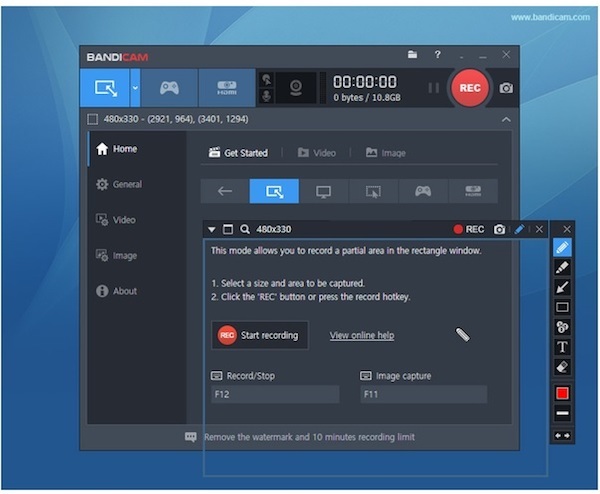 The free version is also available online to allow users to try their hands on almost on all essential functions of the Bandicam 4.0.0 software with an expiration date and most importantly without spending a penny. This on-screen recording software is currently available in 48 languages including all major global languages in an attempt to reach as many users as possible. If you are willing to know anything more, you are free to visit the official website of Bandicam.